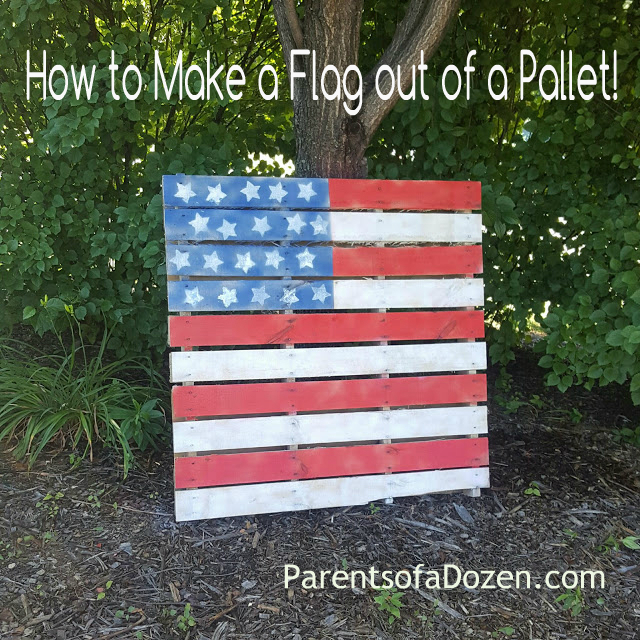 We are getting ready to have a 4th of July party so we made a very cute American flag out of a pallet that we had from our roof project we did recently. 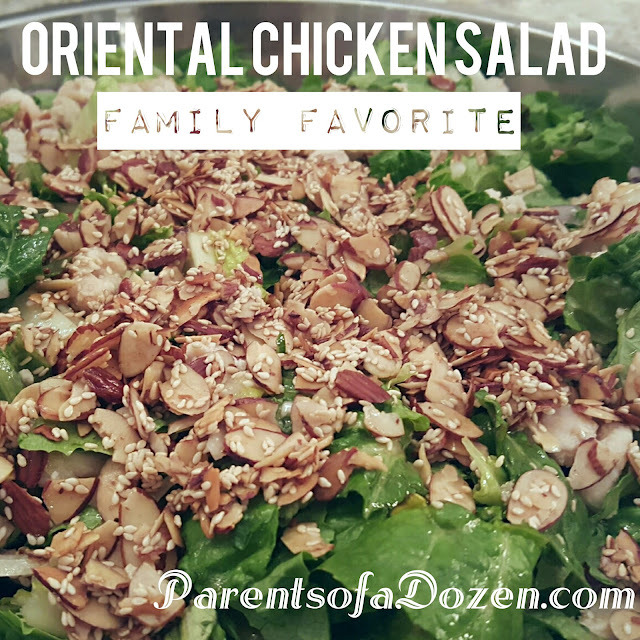 The Best Oriental Chicken Salad Ever! One of our all time favorite recipes is Oriental Chicken Salad. What I like about it is that it is easy, healthy, delicious, and the kids love it! What more can you ask for? Christmas is the one time of the year that brings joy to so many people! With all of the preparation, shopping, and planning, the Christmas Season can also bring stress! We love decorating for Christmas and we have so many decorations. This year to simplify and make it less stressful, we only put a fraction of our décor out, and love the simple look! The one thing I miss is our out door lights like we did a couple of years ago. We put lights on the whole house! This year we only have lights on the lower part of the house and some of the bushes. It was just too dangerous to have my hubby or boys climb all the way up to the high peaks of the house. I was going through old pictures and thought I would share them with you. Do you put Christmas lights out? Do you go crazy with decorations? You may enjoy seeing some of our other Christmas posts! Parents of a Dozen: A Simple Way to Wrap Gifts! 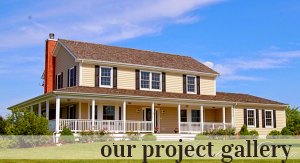 You may want to follow us on Facebook and Instagram to see more pictures and updates! This was a very fun project to do with the children. We love lighting candles, so when I saw this Pinterest idea, for candle holder, 2 years ago, we were going to make them then, but by the time we dried the leave we didn’t get to around to it. So this year we did it without drying the leaves and used some of the leaves we dried two years ago. The kids had fun and we now have some cute fall candles holders and vases. Mexican Taco Casserole! Yum, Yum! Hi everyone! It has been awhile since I have posted. 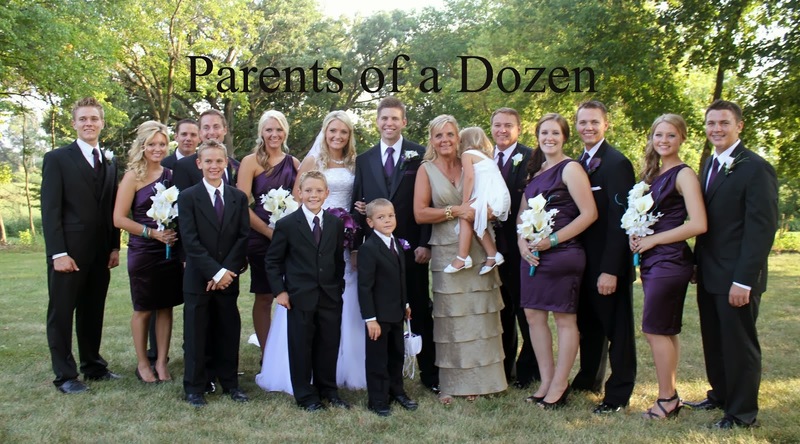 My time has been occupied with many other family events and activities and and those come first. You could see updates on our family if you follow us on Facebook and Instagram. 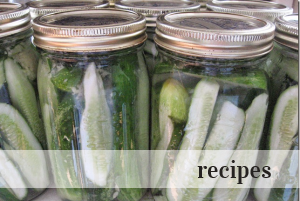 Now on to a recipe you will want to Pin and make, especially if you like Mexican food. We have several favorite meals that we make a couple times a month. Mexican Taco Casserole is one of these family favorites and it is really easy to make. This is a recipe that I have made changes to through the years. I am going to post the original recipe, and then tell you the changes I make. I usually never follow recipes 100%. I use what I have on hand or make changes to taste.